PayPal has launched a new feature called Money Pools. 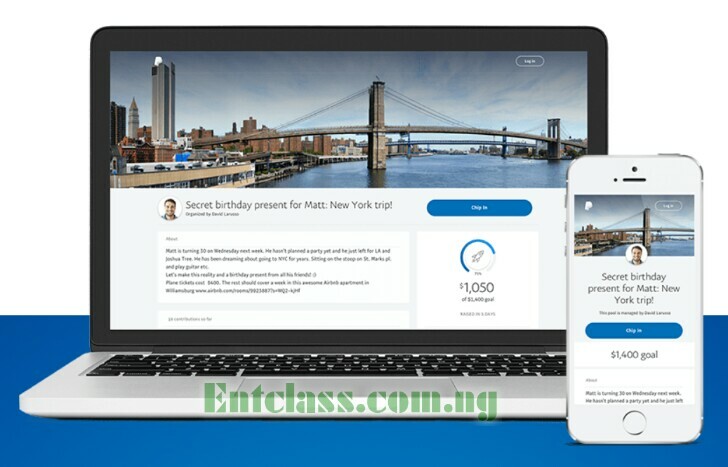 PayPal Money Pools is a new crowdfunding type of service that allows users to set a fundraising goal and share a page describing what they want to use the funds for. PayPal Money Pools as suggested by the company is used for planning trips, group gifting, special events like collecting money for someone in need or baby showers. The fundraising page can be shared on Whatsapp, Facebook, Twitter, Telegram, Sms, Email and other social media sites. When raising some funds, you can choose to keep your identity private or public, and the person requesting money can select if raisers identities will be shared or kept private. Like other crowdfunding services, the person requesting money only receives funds if the fundraising goal is met. Money Pools allows organizers to extend the deadline if it has not been reached. All payments are being handled by PayPal securely. A great one coming from them. Team mates gonna need this. Nice, this should be very handy for my birthday coming up soon.